There is no need to just to wear basic mens dress shirts when there are so many stylish options available by Daniel Ellissa. Daniel Ellissa makes style minded dress shirts out of the latest fabrics and bright colors that are made to get you noticed. 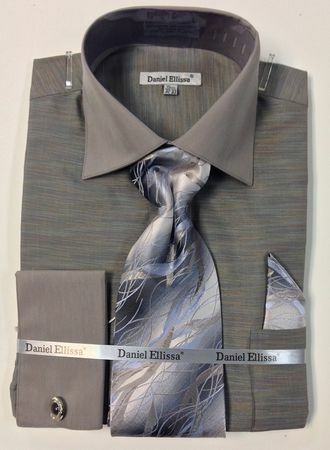 This dark grey dress shirt comes with the matching tie set and is what style is all about. Made of Cotton/Poly fabric.